There are a handful of reasons why playing 'ping pong' is good for your brain. This article lists the mental and the social benefits of table tennis game for the young and old. TABLE TENNIS BRAIN HEALTH: Ping-Pong is not a difficult sport to learn or to play. But it brings a heap of mental health benefits to the table. Research suggests it can improve memory retention and attention span in seniors. It has benefits for motor learning and helps to enhance or boost moods. Scientists continue exploring how physical exercise affects the cerebrum and the gain from table tennis brain development. But, they seem confident that attention increases and memory increases exponentially with movement. At the same time as mood improves you also build motor circuits inside your brain. That means a bigger part of the human brain gets activated - more than usual. There is no denying that pong a popular sport. 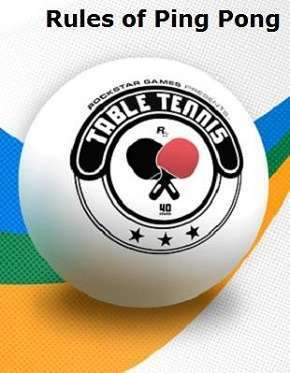 The International Table Tennis Federation is the sport's governing body. They say more than 300 million people play table tennis rules worldwide. Even so, many will prefer to get their walking exercise benefits from a brisk stroll or from jogging. There are other recreational paths that also provide the mental perks of exercising. The choice for many is a full aerobic workout from one of the outdoor sports list of activities. Table tennis is a game with strategy. Some say it is like playing chess rules with a certain 'mojo' at the highest levels. It's played in a small space which tends to speed up the action. That also encourages players to think and move at a speedy pace. Players and supporters alike celebrate National Table Tennis Day each year around July. But, the resurgence of ping pong continues in sports centers and pubs in the United Kingdom. For many, the frenzied game of table tennis is more than a friendly bit of fun. The list of mental health benefits and advantages of playing table tennis are plentiful. Players use mental acuity to judge the speed and spin of the ball. The same brain sharpness also calculates the ball placement during a rally. You do not need to be a professional player to get these mental benefits from table tennis. Nonetheless, it mean you become more skilled in creating and solving mental puzzles. Alzheimer's & Dementia Weekly reported an increase in motor skills from playing table tennis. They saw improvement in cognitive awareness and increased blood flow to the brain. Players use the prefrontal cortex for shot anticipation and strategic planning. Energetic aerobic activity also stimulates the hippocampus. That is the section of the brain that allows us to formulate and keep long-term events and facts. Playing successful rallies in table tennis requires a sturdy balance. The elderly will get the benefits from quick movements and directional changes. The sport is fast-paced and short-distanced in nature. Short bursts of exertion help to improve gross and fine muscle movement. Coordination improves as you follow the ball's movement. Following its trajectory after the stroke also helps to improve eye-hand coordination. Playing table tennis improves overall concentration and tactical strategies. That helps to sharpen natural body reflexes for older people and youngsters alike. The game is not a member on the weirdest and most extreme sports list. It is a game those with knee surgery or minor back problems can play. It is also an ideal way to improve your body core strength without overtaxing the bone joints. Most public health and wellness experts agree that playing table tennis burns calories. A 70kg person is likely to burn close to 300 calories after playing ping pong for one hour. Most players consider the game to be addictive, fun, and easy way to lose some body weight. Playing table tennis is a great way to socialise and bond with other people. The social outlet is a chance for the young and seniors to meet people and build new relationships.